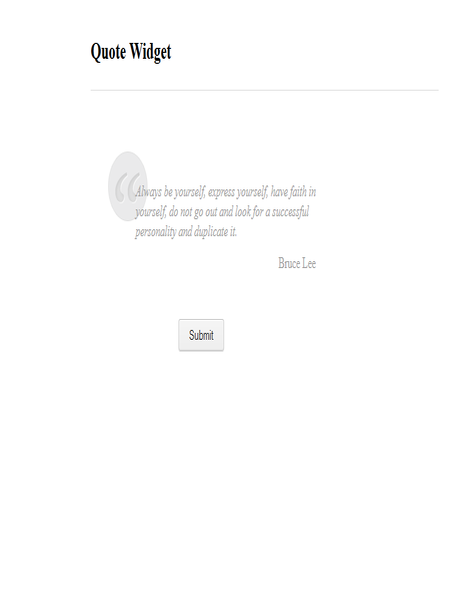 The Quote widget is a great way to Inspire your users. 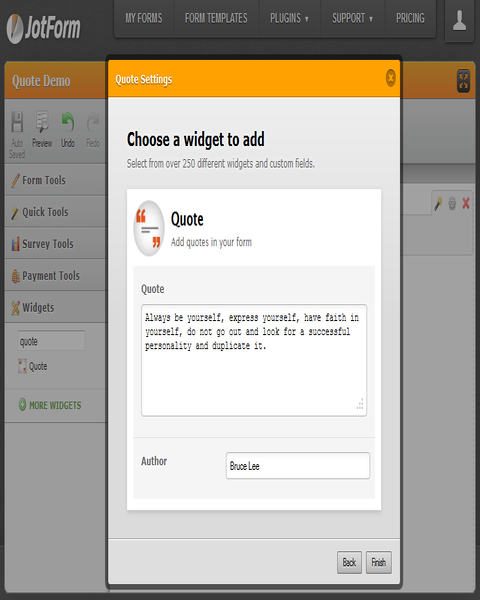 The widget allows you to paste the quote and author of the quote. 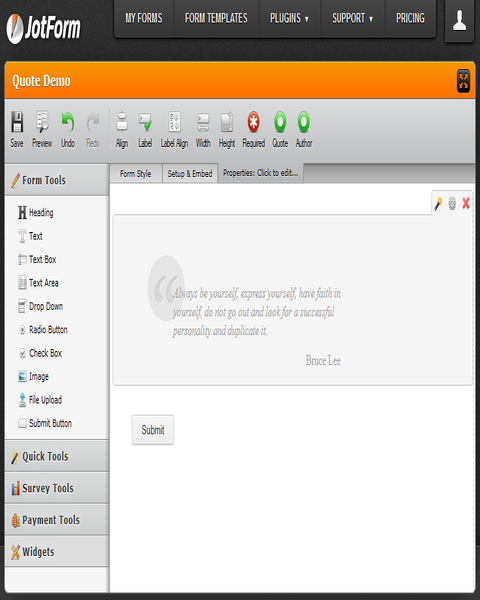 The widget will then display the quote with great style.